Archadeck of Charlotte wins all of the major awards at the 2012 Annual Awards Banquet! 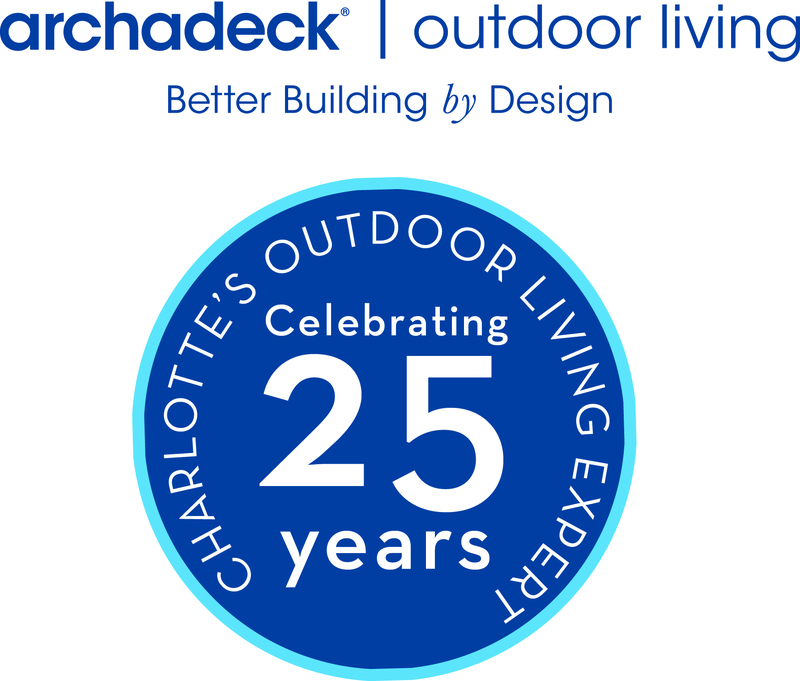 Top deck and outdoor living builder, Archadeck of Charlotte won all of the major awards at the 2012 awards banquet held in Charleston, SC. Like most every year since it’s inception (1988), Archadeck of Charlotte was the largest franchise amongst all of the national Archadeck franchises. Archadeck of Charlotte was also recognized for Outstanding Customer Service award based on surveys from its large customer base. In addition, both Mark Norton and Mike Luick were honored as the two top individual sales people in the country. Mark Norton and Eric Kent won the best design awards for hardscapes and porch and patio categories. What is the best and safest way to clean decks, patios, and house walls? 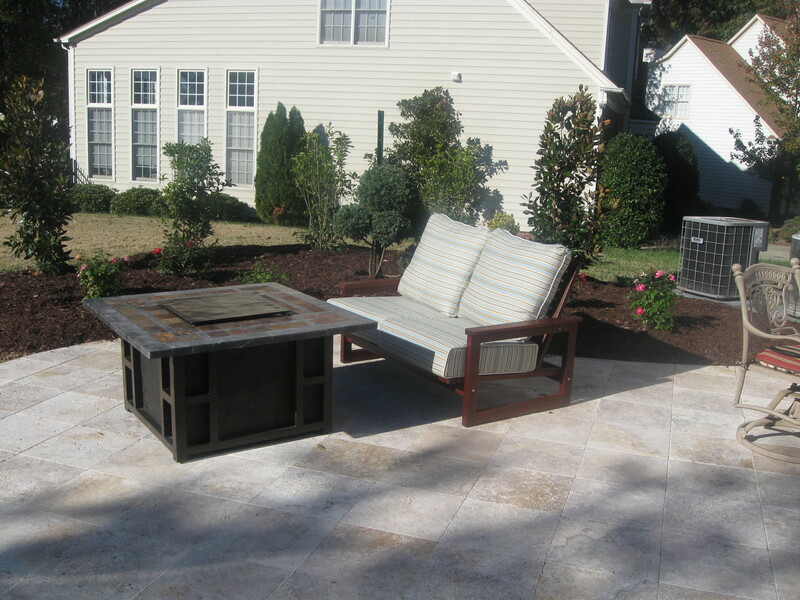 Archadeck of Charlotte has been searching for methods that are the safest and most effective ways to remove dirt, mildew, algae, and mold from various exterior surfaces such as decks, patios, sidewalks, and house walls. We finally found the combination of organic chemicals through a franchise called Renew Crew. We love the 3-step process that is prescribed by company founder Stan Krempges. 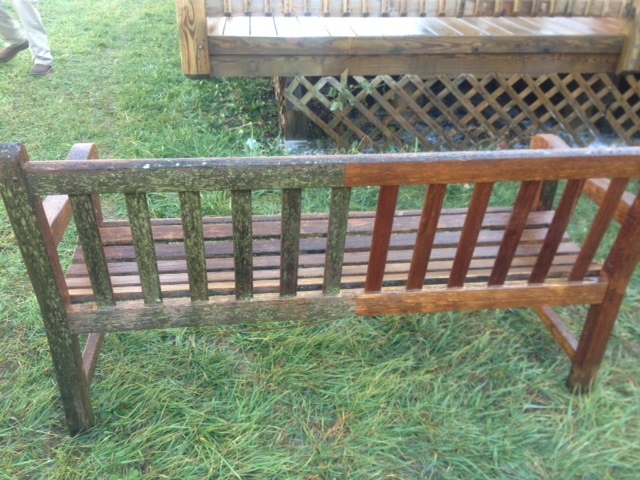 First, there is the soaking and foaming of the surface with the proprietary organic chemical that loosens all of the mildew, mold, algae, and dirt. Secondly, there is the power clean (not as severe a pressure as power washing). The next day or so, we come back with a protectant and seal the surface to insure it stays clean for a much longer period of time. What are my patio step options and price implications? A common question people are seeking answers to are their choices regarding patio steps and deck steps and the price implications. We will detail several of those below. A primary consideration for patio steps is to determine if you want to match the substrate of what the patio flooring is or do you want to contrast? What is the substrate leading down to the patio or from the patio? If cost is a primary consideration, wood steps are going to be a far less expensive way to go then masonry. The challenge with with wood steps is they will require maintenance and are not necessarily the most aesthetically pleasing in combination with masonry. 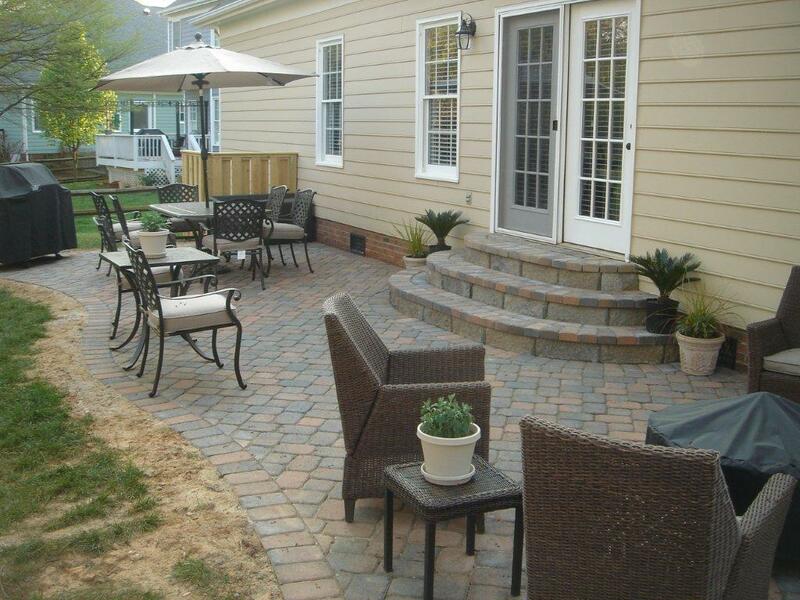 The paver steps are rustic and provide a low maintenance solution. 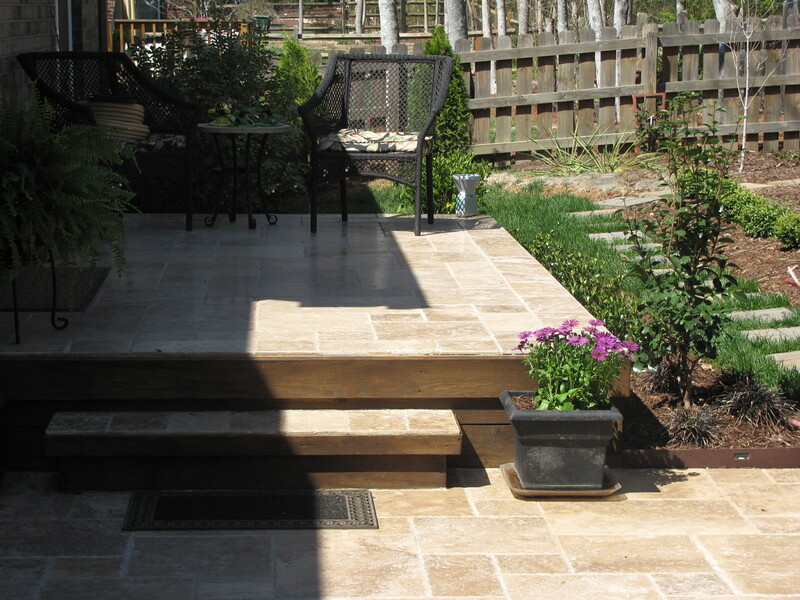 Travertine stone steps are perfect as shown above when they are combined with a Travertine stone patio. 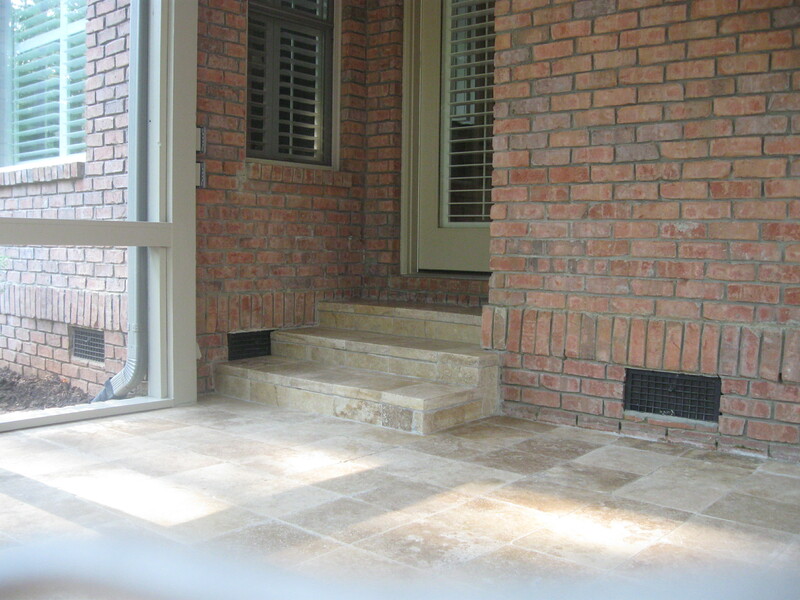 Concrete patios are best suited for concrete steps. A great way to warm up the look of the concrete is to stain or color it with products that are very inexpensive from companies like Quickcrete or Rust-Oleum. If you are in need of further ideas and photos, you can go to www.charlotte.archadeck.com to see the latest!